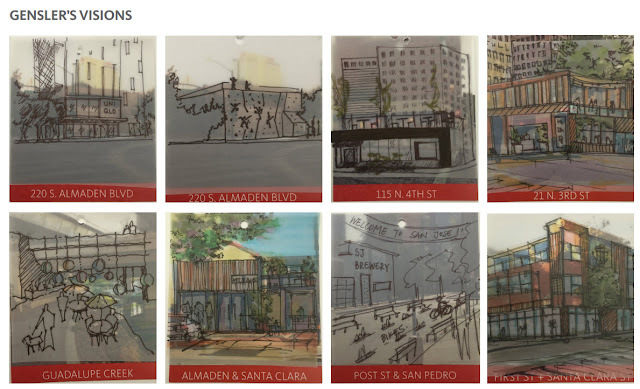 Last September, Gensler (a slick design firm with a major office in Downtown San Jose) commissioned a project at the San Pedro Farmer's Market entitled "I Wish Downtown San Jose Had." The goal was to inspire the community to participate in defining the vision for Downtown. Anyone could write a wish on a card and then hang it on a wall. The wishes have all been compiled and you can see the results over here. I also recommend checking out the great photos of the wish wall here. We need more creative grass-roots ideas like this to move things forward. Hats off to all those at Gensler involved in this.